See how Universal Robots’ multitasking UR3 cobot at Creating Revolutions in Miami now deftly handles soldering, drilling, silicone dispensing and light assembly while being controlled and monitored in a cloud-connected system, reducing rejects to near zero while increasing production efficiency almost five-fold. A Stryker combat vehicle equipped with a 5-kW laser and an array of sensors spent several minutes scanning the horizon for a wayward "enemy" drone. After a few attempts to destroy the drone with the laser, the drone fell from the sky, crashing to the ground. Not a bullet was fired, and no sounds were made by the system that accomplished the kill -- an experimental project called the Mobile High-Energy Laser. 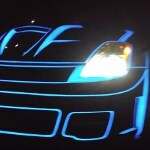 It’s great to have a really bright idea, but if you have one that can be spread around and lit up it's even better. Case in point is LumiLor, a light-emitting coating system from Darkside Scientific that allows anything coated with it and wired up to be illuminated. Besides providing the technology to create amazing "Tron" cars, the product's creators recently scored Airbus as a customer. Simply put, anything you paint with LumiLor can be turned on and off as easily as a light bulb. Can you imagine fully charging your cell phone in just a few seconds? Researchers in Drexel University's College of Engineering can, and they took a big step toward making it a reality with their recent work unveiling a new battery electrode design in the journal Nature Energy. Researchers at The University of Manchester in the U.K., in collaboration with Central South University (CSU), China, have created a new kind of ceramic coating that could revolutionize hypersonic travel for air, space, and defense purposes. The new carbide coating is vastly superior in resisting temperatures up to 3,000 C, when compared to existing ultra-high temperature ceramics. Convert popular spring units such as force or retaining ring thrust capacities into metric units with Smalley’s engineering tools. Convert units such as mass and weight, angular measurements, velocities, temperatures, pressures and densities, and more. Click here to learn more. You should bookmark this one. Finding creative solutions to multipart assemblies can be tricky, but fortunately there are many different ways to approach product designs that involve multiple components. To keep things cost-effective and efficient, simplify your design, don’t make what you can buy off of the shelf, explore all of your manufacturing options, and understand the rules of each part of the process. But like most design challenges, it’s not as easy as it sounds. Not all mold makers were created equal. Follow the guide of the most advanced: Xcentric Mold & Engineering. 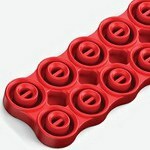 Learn how to incorporate things like draft, threads, hinges, and overmolding by taking advantage of the most advanced injection molding process engine and mold-making system in the industry. Download our Smart Guide to Designing for Manufacturability. Micro Plastics, Inc., a manufacturer of industrial-quality plastic components, has unveiled its latest product catalog containing thousands of fastening solutions for engineers and product designers. 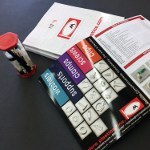 In addition to hundreds of new problem-solving products, the catalog features several new complete product lines with improved product and material explanations. Micro Plastics manufactures 10 million fasteners daily, offers over 30,000 items, and maintains an inventory of over 300 million parts. See their 300-page full line catalog #41 for a complete list of plastic fasteners currently available. OEMs have to balance a lot of competing factors -- cost, precision, safety, performance -- in order to build a superior machine. 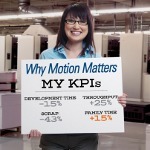 The motion experts at Kollmorgen discuss in depth the considerations, processes, and challenges machine engineers face when making motion-related decisions. 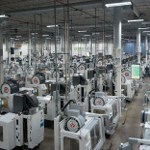 Learn how flexibility, connectivity, modularity, changeover time, and costs can converge to create a total system approach that takes machines from 'good enough' to best in class. Digital manufacturing company Proto Labs has always been known for its rapid injection molding prototyping services. Now, the company has added a suite of capabilities designed specifically to address the on-demand manufacturing needs of the low-volume, high-mix product segment. And in another company first, they've built a new metrology lab that provides enhanced inspection reporting on end-use production parts. 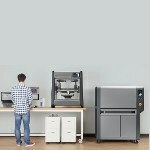 Desktop Metal has launched an office-friendly metal 3D-printing system for rapid prototyping. The Desktop Metal Studio System is 10 times less expensive than existing technology today. The system is a complete platform, including both a printer (starting at $49,900) and microwave-enhanced sintering furnace that, together, deliver complex and even impossible geometries of metal 3D-printed parts right in an engineer’s office or on the shop floor. The larger DM Production System -- 100 times faster than today’s laser-based additive manufacturing systems -- is also available. A whole range of products can now take advantage of the world's blackest coating, Vantablack, thanks to the development of a new spray version called Vantablack S-VIS. It is easily applied at large scale to virtually any surface. Vantablack's carbon nanotube matrix structure absorbs virtually all (99.8%) incident light, enabling precision optical systems to be optimized. 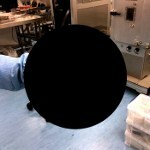 The material’s developer, UK-based Surrey NanoSystems, has mimicked the performance of its original Vantablack with this new version that can be sprayed onto objects, rather than deposited using a chemical vapor deposition (CVD) process. Aluminum treads on Mars Curiosity rover show open breaks and tears; 2018 Dodge Challenger SRT Demon comes wheelie-ready; Army demos, flies basic 'hoverbike' prototypes; SuperTruck Update: Aerodynamics focus boosts Navistar big-rig fuel efficiency 124%; Next Big Thing in Army aviation? Lockheed Martin S-97 RAIDER is fast and furious. Check out the full issue. Long-range sniper system is the BOSS; Air spray: The comeback of stunning military aircraft paint jobs; Camaro ZL1 tries for 200 mph on German test oval; Next Big Thing: Father-son team creates liquid metal 3D-printing system; Ford GT supercar's digital display is dashboard of tomorrow; Siemens electric airplane motor setting records left and right, up and down. What's new in springs? You'd be surprised. 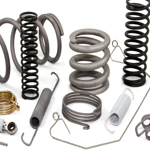 Atlantic Spring, a MW Industries company located in the heart of New Jersey, is a U.S. manufacturer of custom springs, wire forms, and assemblies. As proven specialists in quick turnaround and rapid prototyping, Atlantic Spring has been a trusted supplier to the aerospace, military, industrial, and energy markets for over 90 years. They are capable of forming and coiling wire between 0.006" to .625" in a variety of materials and diameters from 0.010” to 1.000” including shaped and rectangular wire. AS9100C certified. Watch the full MW Industries experience! Having embedded computational fluid dynamics (CFD) in your MCAD tool has a multitude of benefits. Among them is the ability to perform on-the-fly analyses for quick and early decision-making that can reduce simulation time by as much as 65 to 75 percent over traditional CFD tools. Take, for example, determining the flow rate and pressure drops of a vertically rising pipe. You need this kind of info to size pipes for a proposed piping system. 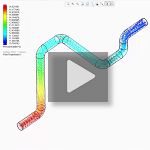 Using FloEFD from Mentor in PTC Creo, results are quickly and easily determined when the outlet of the pipe is raised higher -- just redesign and run. 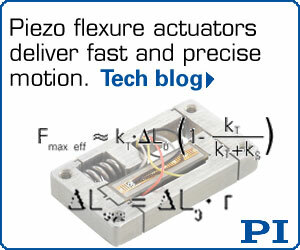 In other scenarios, see how to understand flow rates using different ball-valve positions and optimize LED heat-sink fin geometry. Also works with CATIA V5, Siemens NX, Solid Edge, and SolidWorks, and it tightly integrates with Inventor.